BUSINESSES SPEND BILLIONS each year on backup solutions that eventually age out and need to be replaced. Administrators who have managed a backup solution can attest to the headache that results. Aging hardware begins to experience failures, backup volumes begin to exceed the storage capacity and backup windows available, and archive data on tape media must be migrated to new storage before the old tape drive can be decommissioned. ADP solves technology challenges with technology. Analytics-driven proactive problem resolution coupled with high levels of automation eliminates the majority of backup issues before they even occur. The monitoring and alert system that can be integrated with corporate (remedy solution) ensures that administrators will be notified of any events that require their attention. The unified management console allows an enterprise level view of the health of data protection with the option to drill down on any location or system. Prior to deploying ADP this manufacturing company was averaging 3-4 critical problems per month. Some of these took more than a year to resolve. Since deploying ADP the world-wide enterprise has experienced ZERO critical situation in that last 27 months. ADP eliminates a lot of problems by automatically making sure the servers are healthy, dealing with failures, ensuring recoverability, and taking care of updates and patches. 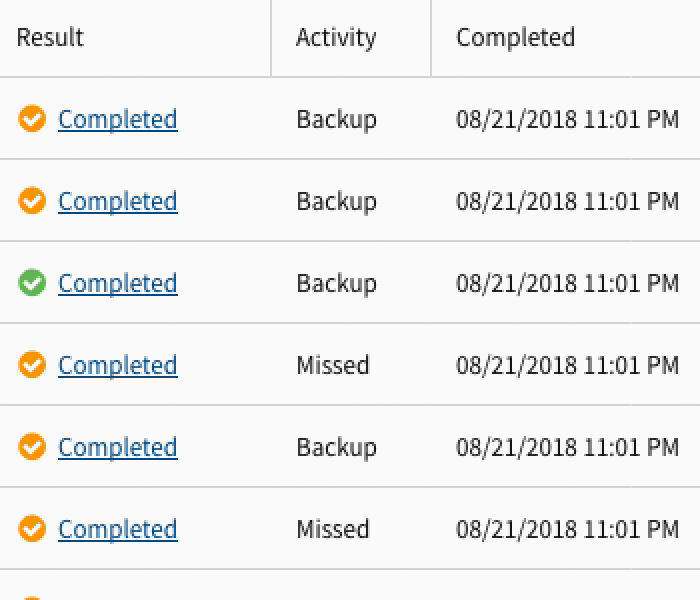 Our backup success rates average over 99% which allows our team focus on other projects.